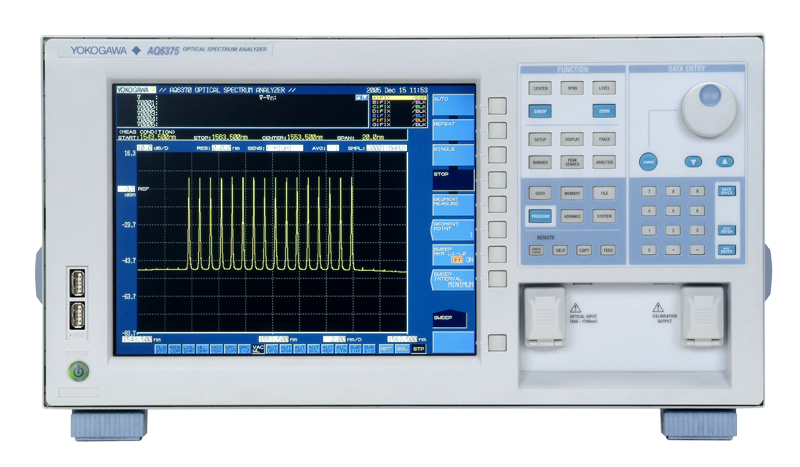 The AQ6375 is the first bench-top optical spectrum analyzer covering the long wavelengths over 2 μm. The AQ6375 covers not only the wavelength span used in communications, but also the 2µm region which is used for environmental sensing, medical, biology and industrial applications. The AQ6375 can measure optical power from +20dBm down to -70dBm thanks to its high-dynamic and very low noise components and circuits used for photodetection. This enables precise measurements of both high power and low power sources. 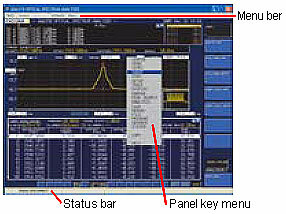 Measurement sensitivity can be chosen among 7 values according also to the measurement speed required by the specific test to be performed. The AQ6375 uses a double-pass monochromator structure to achieve high wavelength resolution (0.05 nm) and wide close-in dynamic range (55 dB). 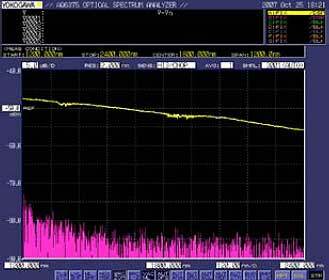 Thus, closely allocated signals and noise can be separately measured. With a proprietary sweep technique the AQ6375 achieves a much faster sweep speed than conventional measurement systems which use a monochromator. Max. sweep time is only 0.5 sec. for 100 nm span. Applying a fast microprocessor, the AQ6375 achieves very fast command processing speed and Ethernet interface provides up to 100 times faster data transfer speed than GP-IB. The AQ6375 has a built-in reference light source for wavelenght calibration and optical alignment of the monochromator components, in order to deliver always accureate measurements. The calibration and alignment process takes less than 2 minutes and it is full automatic. The AQ6375 uses a free-space optical input structure, i.e. no fiber is mounted inside the instrument. AQ6375 has been designed to increase productivity of R&D and Production personnel. 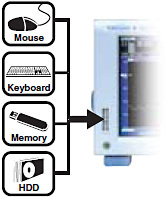 It software has pre-installed analysis functions for the most common optoelectronic (passive and active) devices. The automatic calculation of the major parameters of the device under test will contribute to its fast characterisation. Moreover AQ6375 has the possibility to be programmed to perform automatic measurements while controlling other lab equipment. With this function it is possible to measure pass band width / notch width from the measured waveform of a filter with V-type or U-type wavelength characteristics. 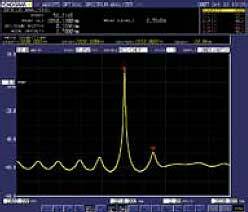 Measurement can be performed of the optical amplifier gain and noise figure from measured waveform of the signal light going into the optical amp, as well as the measured waveform of the output light leaving the optical amp. Optical filter characteristics can be measured from the measured waveform of the light input to the optical filter from the light source, as well as from the measured waveform light output from the optical filter. Analysis can be performed not only on optical filters with only one mode, but also multimode WDM filters. 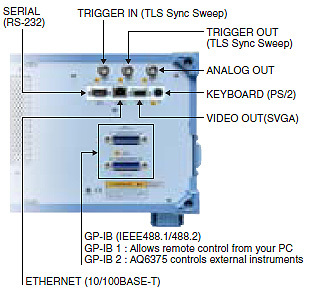 The AQ6375 is equipped with GP-IB, RS-232, and Ethernet (10/100Base-T) interfaces to be connected with an external PC for remote access and building an automated test system. Macro Programming is a useful built-in function to implement a simple auto test program. 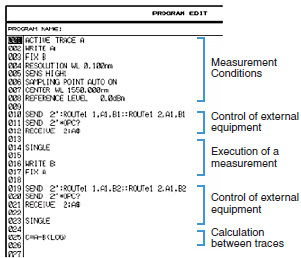 The standard remote commands of the AQ6375 are compatible with SCPI, which is an ASCII text based standard code and format that conforms to IEEE- 488.2. The AQ6375 supports proprietary remote programming codes of Yokogawa's best selling AQ6317 series for users to easily upgrade from their current automated test environment. 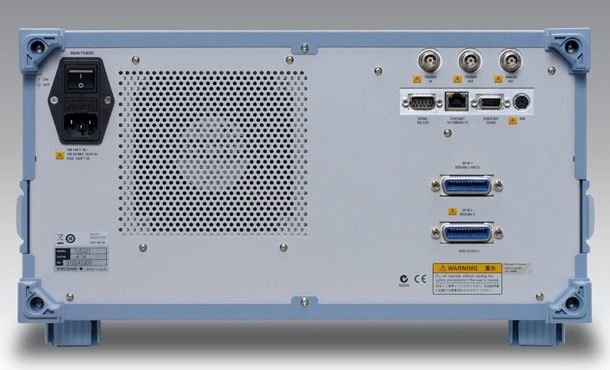 AQ6375Viewer is PC application software designed to work with Yokogawa's AQ6375 Optical Spectrum Analyzer. The software has exactly the same user interface and functions as the AQ6375 so that you can easily display and analyze waveform data. Allows to control AQ6375 from anywhere on the Ethernet network. Because of fast data transfer speed of Ethernet, measurement data can be updated in real time. Note. the data update speed varies depending on network performance and conditions. Moreover, its peculiar characteristics and high-level performance make the AQ6375 the ideal OSA to measure gas concentration in the air using Laser Absorption Spectroscopy. A fiber Bragg grating (FBG) is a type of distributed Bragg reflector constructed in a short segment of optical fiber that reflects particular wavelengths of light and transmits all others. This is achieved by creating a periodic variation in the refractive index of the fiber core, which generates a wavelength specific dielectric mirror. A fiber Bragg grating can therefore be used as an inline optical filter to block certain wavelengths, or as a wavelength-specific reflector. However, the functional wavelength of FBG is not the writing wavelength, and for non-communication applications mentioned above (strain and temperature sensors) FBGs tuned on 2-3µm region are used. For testing such FBGs, the AQ6375 is the perfect instrument. Detecting the multi-wavelenght optical pulses generated by a supercontinuum light sourcewith AQ6375. 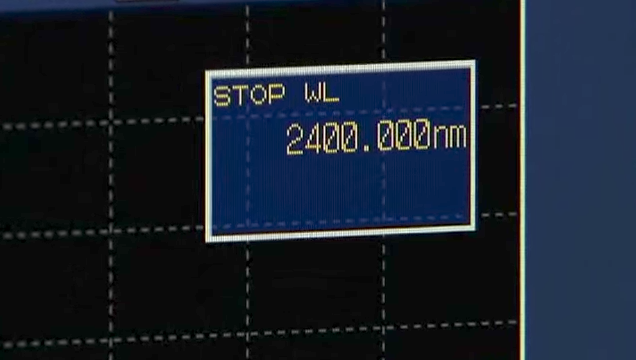 AQ6375 is the best instrument to test and characterize such kind of LASERs during their production and after-production quality check processes. As shown in figure 1 below, the Laser Absorption Spectroscopy uses a laser that oscillates in a single vertical mode and can measure concentration of a gas molecule by slightly modulating the oscillation wavelenght of the laser around the absorption wavelenght specific to the gas to be detected and by detecting a change in light spectrum due to molecule absorption. The lasers used in Absorption Spectroscopy require excellent single-mode operation performance, which directly determines the limits of detection. Furthermore such lasers should produce a stable oscillation in the absorption region in order to achieve sensitive detection of the gas of interest. Most of the greenhouse gases, for example CO2, SO2 , NOX and CH4, has strong absorption lines in the 2µm wavelenght region. If the AQ6375 sweep is synchronized with a tunable laser, it will show the absorption spectrum of the gas mixture under test, like figure 3. Hydrogen Cyanide H13C14N absorption spectrum measurement ‐ AQ6375 synchronous sweep with tunable laser source. The global warming gases, called greenhouse gases, like CO2, SO2, NOX and CH4, has strong absorption lines in the 2µm wavelenght region. The presence anc concentration of those gases in the atmosphere can be determined by measuring the optical absorption spectrum of the gas mixture under test. Thanks to its Free Space Optical Input, the AQ6375 can also measure the absorption spectrum of an air column using the Sun as light source and transferring by a MultiMode fiber the light passed-through the mixture. The AQ6375 has the right charatceristics to be an effective instrument to measure the output of CRDS systems. 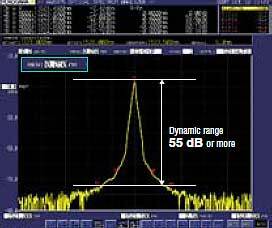 Yokogawa AQ6375 and AQ6373 cover the whole range of absorption wavelengths of these substances and can detect therefore their presence and concentration by means of Laser Absorption Spectroscopy. The AQ6375 is equipped with several electrical interfaces (GP-IB, RS-232, PS-2, USB, RJ-45 Ethernet, SVGA video output, analog (voltage) output, trigger input & output) which allow the user to easily operate on it in the lab as well as from remote. The AQ6370 adopts a universal type optical connector system for optical input and calibration output enabling direct coupling to major optical connectors (FC, SC or ST). The connectors can be replaced by users.